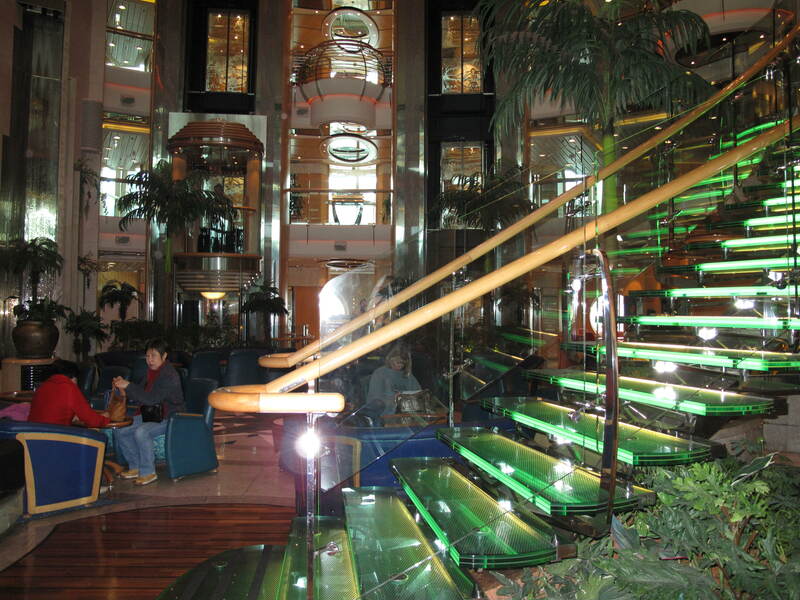 It is now day 8, and it is check-out day, goodbye day, and time to leave the Radiance Of The Seas. It is Friday, May 18, 2012. 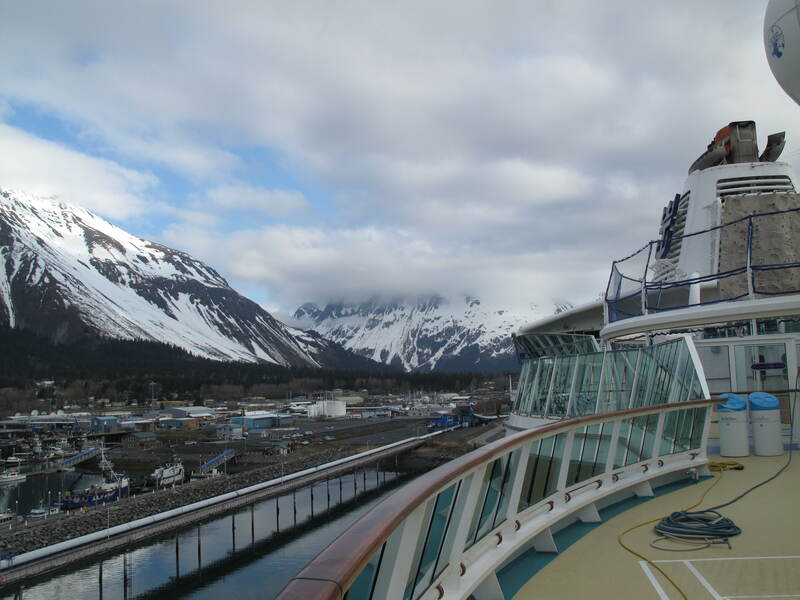 The ship had arrived at Seward, our arrival dock at 4am. We had got our numbers to put on our luggage the night before, the numbers are really important. 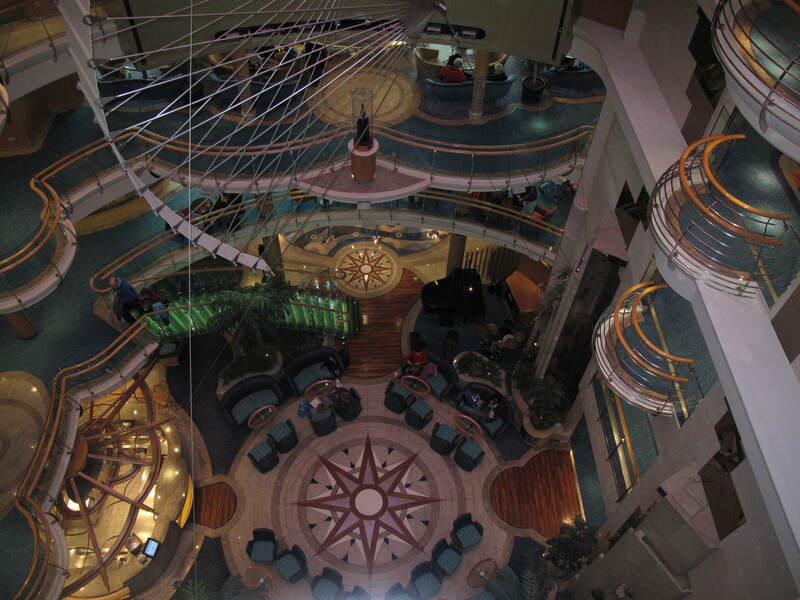 The following picture of the ever helpful Cruise Compass will give you an idea of what I mean. 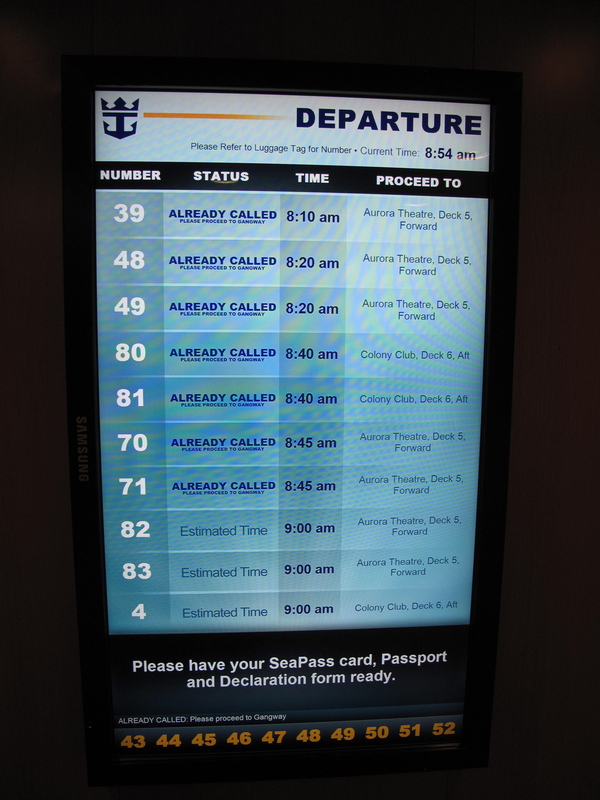 You could get a number such as 5, 6, 20 and 21 that had a departure time of 6am, or be slightly more lucky if you are booked on a cruise tour like us – our number was 82, and our departure time was 9am. This of course, gave us more time in the morning. The last numbers were scheduled to be called at approximately 9:30 am. Excuse this picture as it is not the best, I used my camcorder again, and it was major clean-up day for the Radiance Of The Seas staff, so I had to take the picture while they were in the midst of their cleaning. 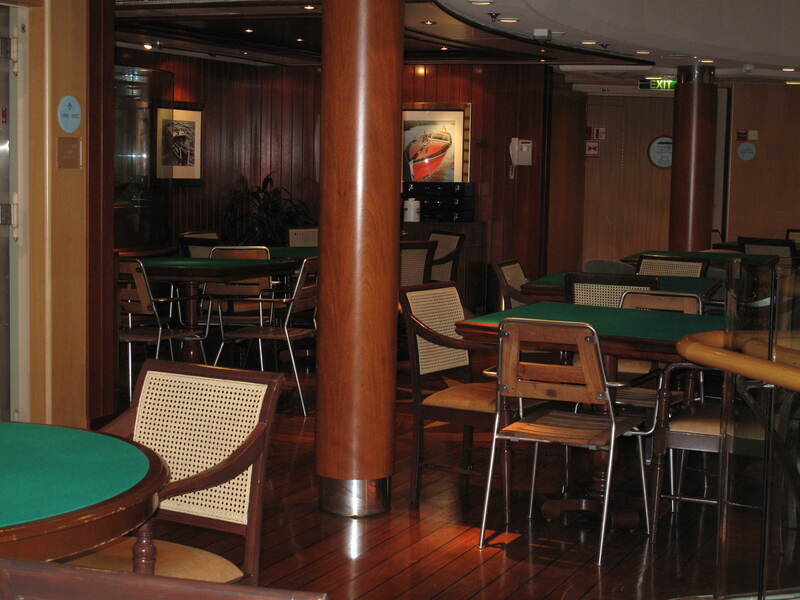 The games room – Seven Hearts – I never even got the chance to sit in this room. 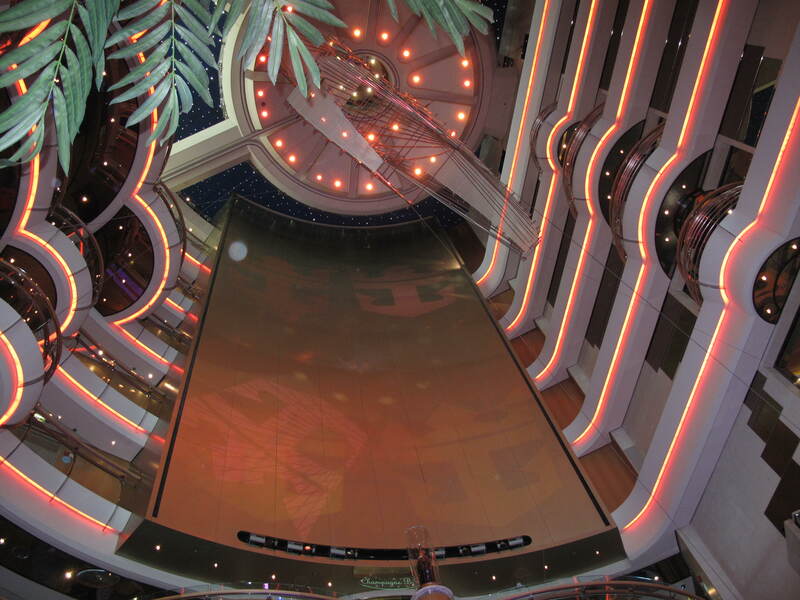 This is the centre of the mid-area that overlooks the Centrum and can be seen from all the floors just about. Quite a design! I snuck a look at an ocean-view cabin on my way out. It is bitter-sweet leaving a ship when it’s the end of the cruise. 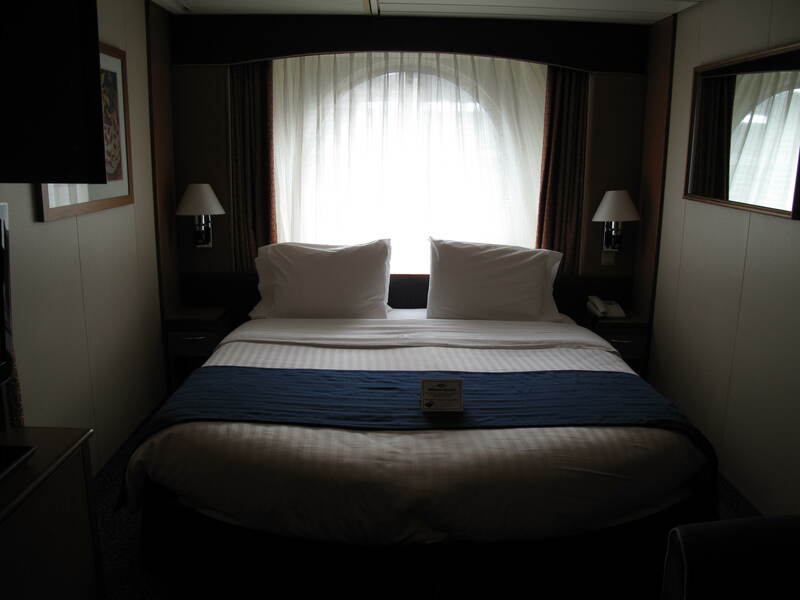 However, the nice part of this journey is that even though one adventure is over, the other one is just about to begin, as now it is time for the cruise tour. 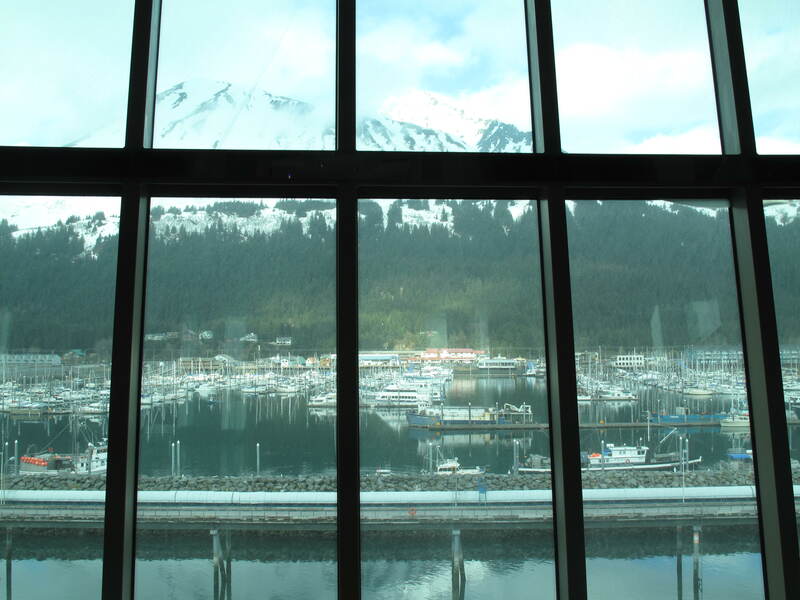 Our bus will take us from Seward today to the Sea Life Centre, and then drop us off so that we can take a boat tour on Kenai Fjords Explorer, and have a chance to view whales, otters and sea lions, etc. 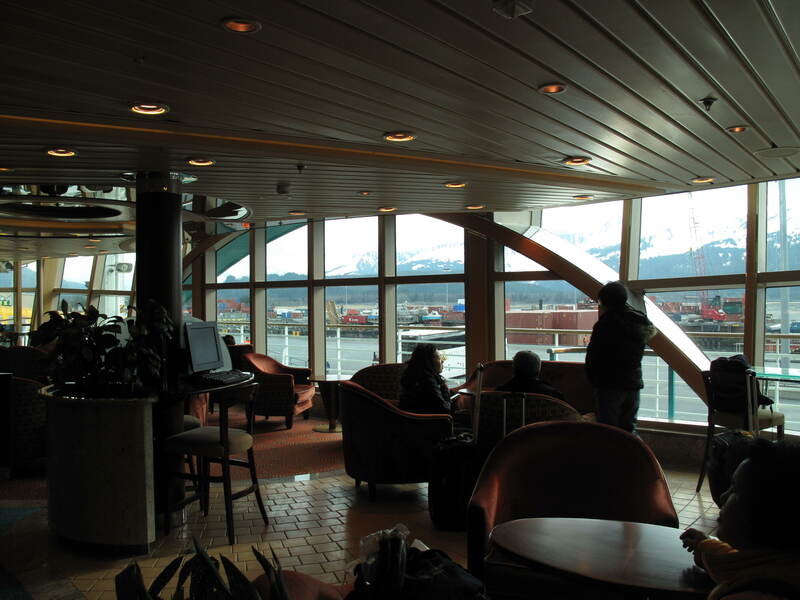 Later, we will take the Wilderness Express train to Girdwood, where we will stop the night at Hotel Alyeska. I will write up on that part of the journey soon. Thank you for reading. 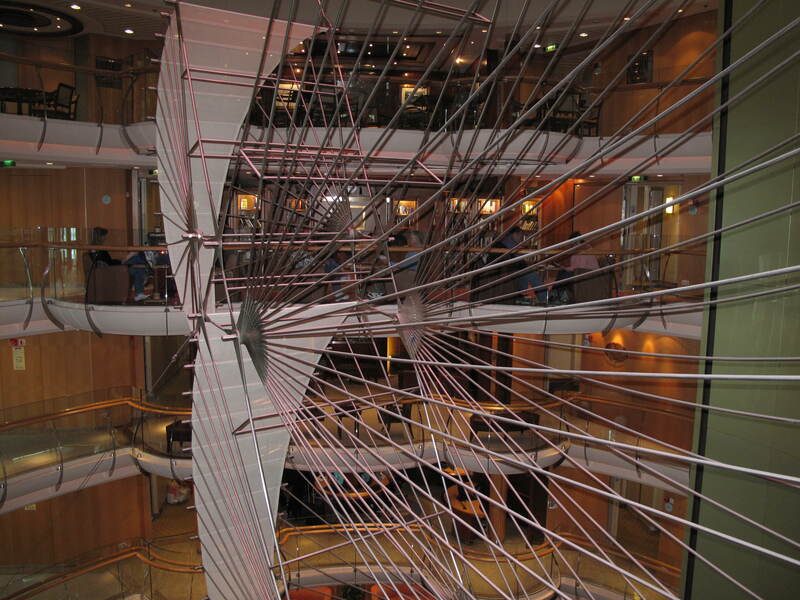 Lovely photos and great cruise story. All this trip is a dream trip in my eyes. I love the first, third photos from the top and from the bottom last and the third last. My pictures are nothing like yours – you are an incredible photographer, and I can’t claim to be one – I just enjoy taking photos as a hobby. I hope that one day, you will be able to sail on your dream cruise. I know you will take fabulous photographs. Have a terrific day! Thank you so much for commenting, and visiting my blog.